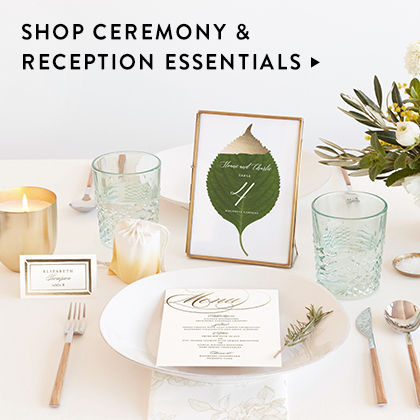 Your tablescape will be the focal point of your reception. 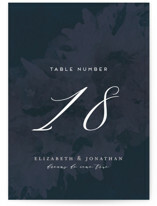 From the center pieces, to the flowers, to the linens and details, guests will be drawn to your beautiful design. 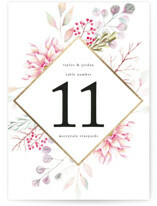 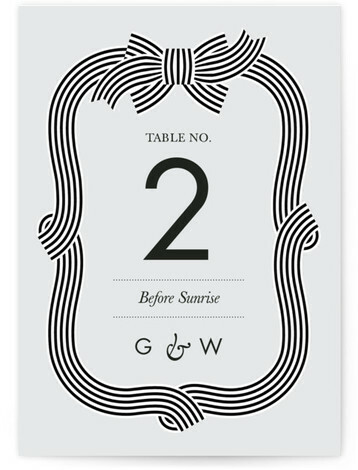 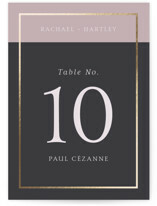 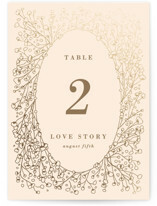 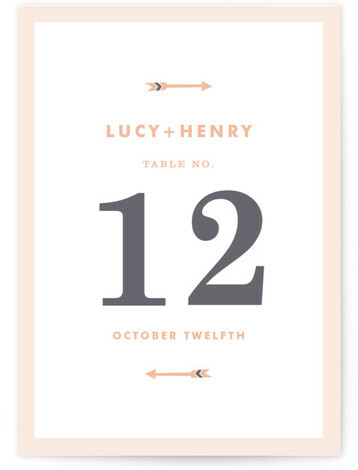 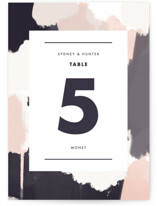 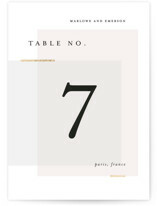 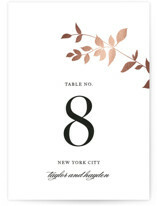 Choose the perfect table numbers and make your suite complete. 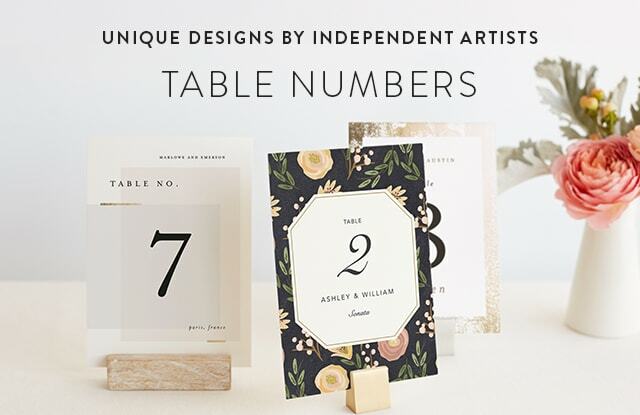 From classic designs for a black tie affair to florals for a garden wedding, our community-designed numbers enhance the look of your tables and put the finishing touch on your special day. 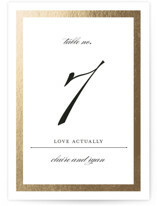 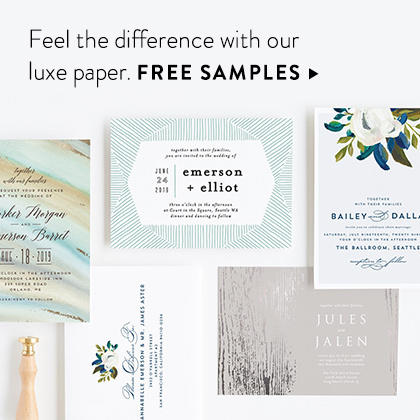 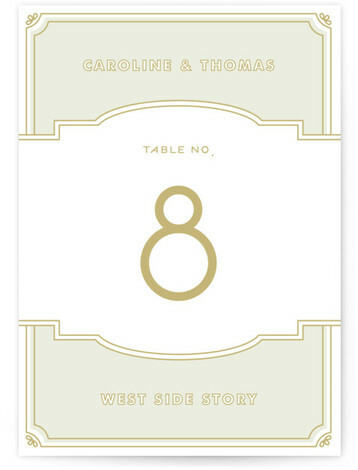 All of our cards come with FREE double-sided custom text printing of the names or numbers of your tables. 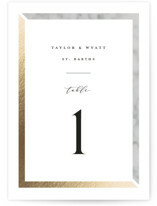 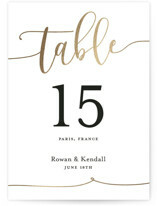 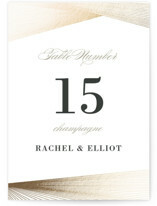 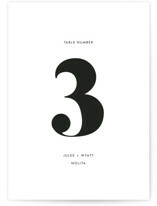 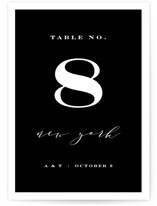 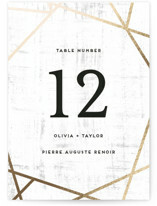 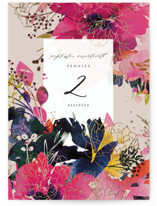 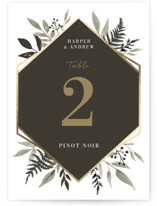 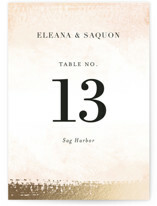 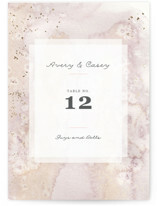 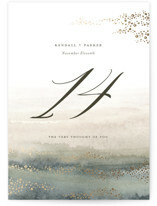 Table numbers are available a variety of flat, folded, photo and foil-pressed formats. 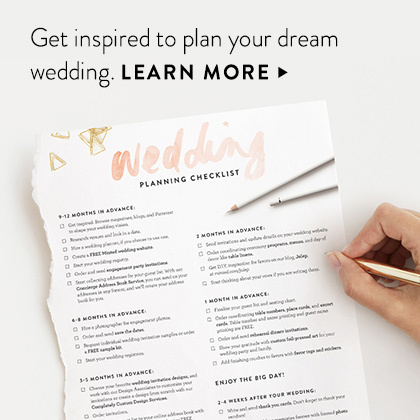 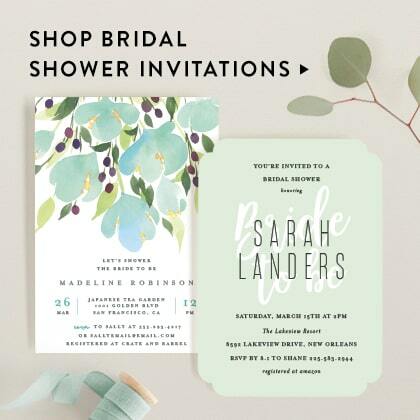 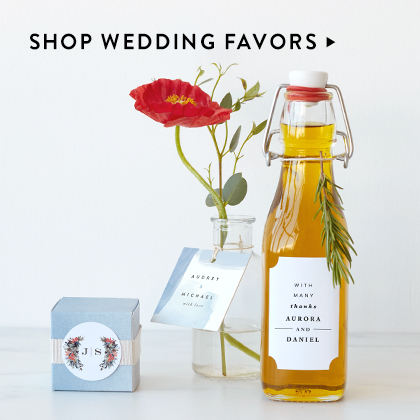 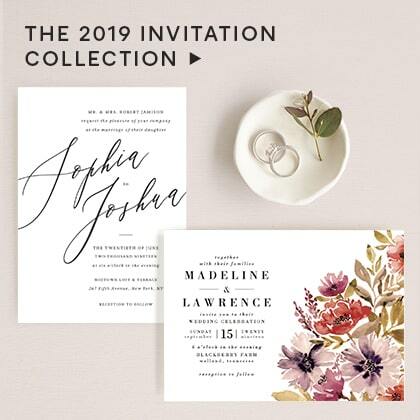 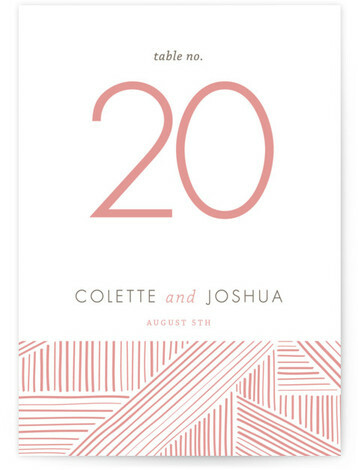 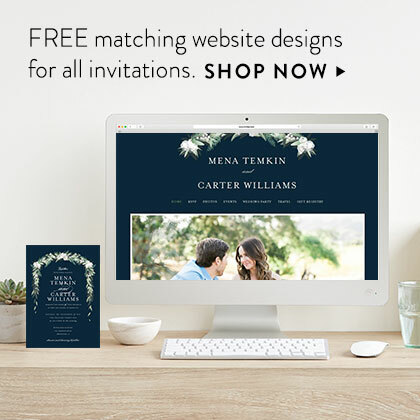 As always, our designs are highly customizable so you can make any occasion uniquely yours. 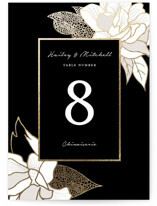 Don’t forget to compliment your chic table numbers with matching place cards and holders.